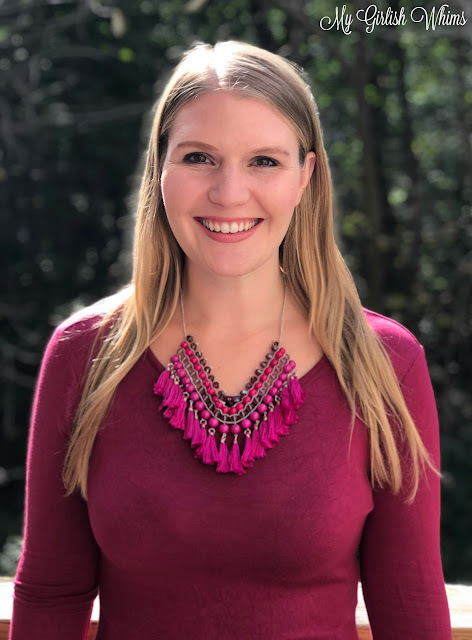 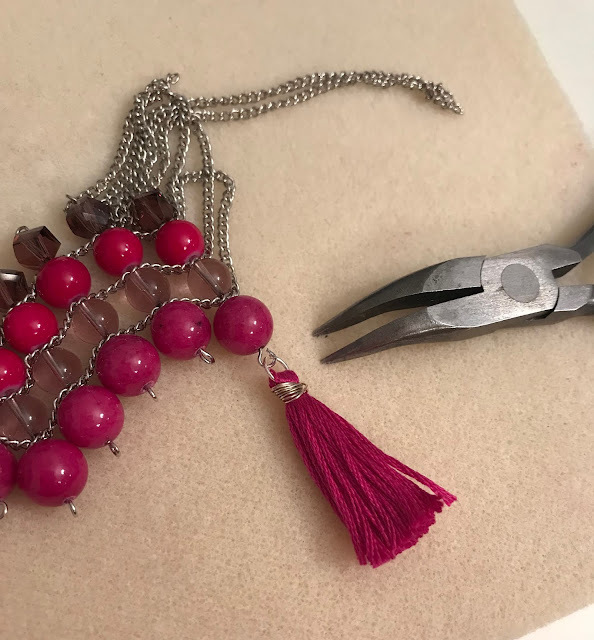 I may be a little late to the tasseled jewelry trend...but I'm no stranger to a statement necklace (I've made a ton of statement necklace DIYs in the past!) 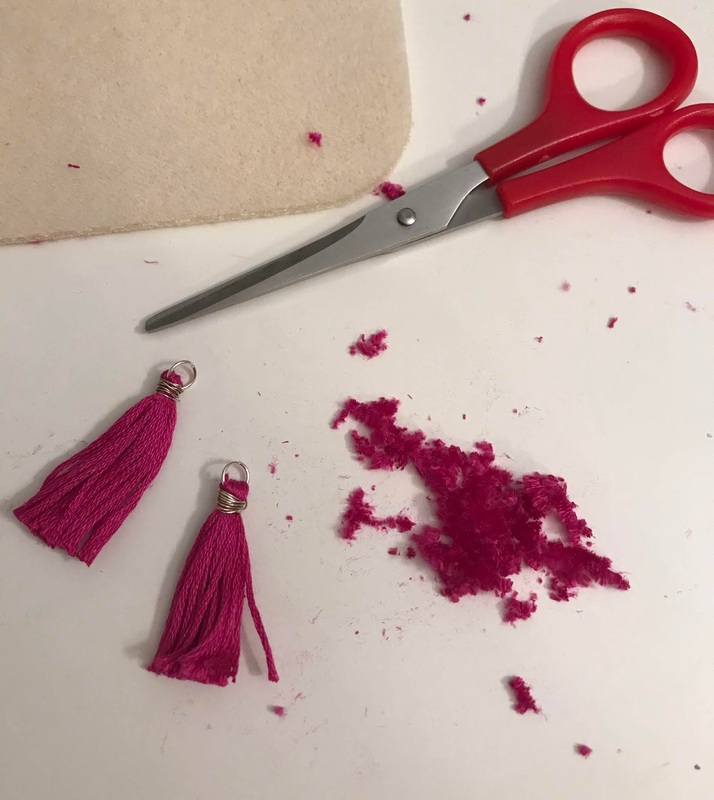 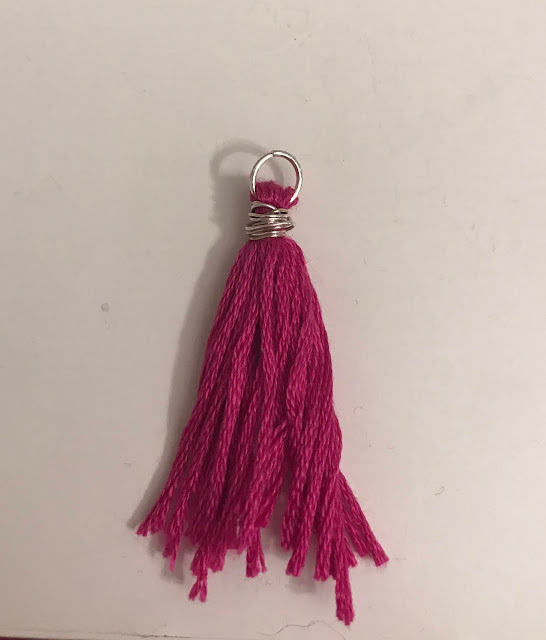 I finally bought myself a tassel maker to experiment with making tassels for different kinds of jewelry and I'm pretty much obsessed with how this DIY tassel necklace turned out. 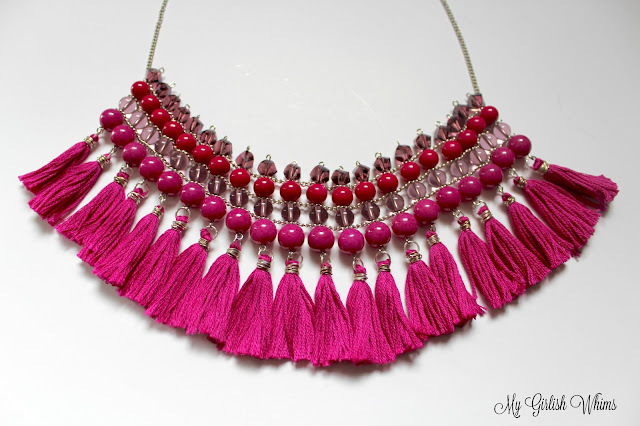 I combined some colorful stone beads with some glass and crystal beads and attached them all together in a collared necklace design with some fun and flirty tassels made using embroidery floss hanging off the ends of the beads! 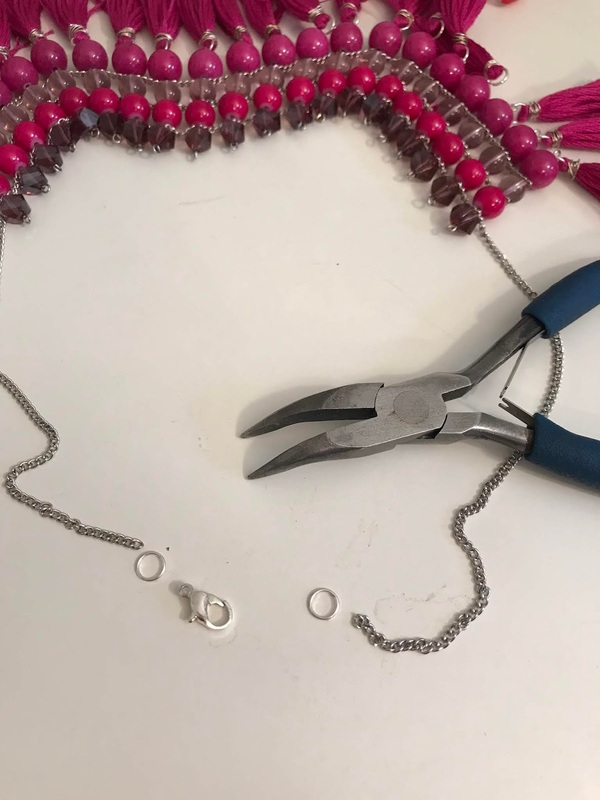 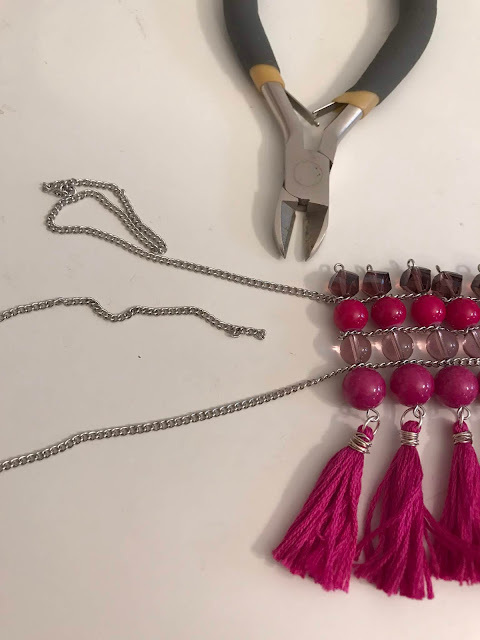 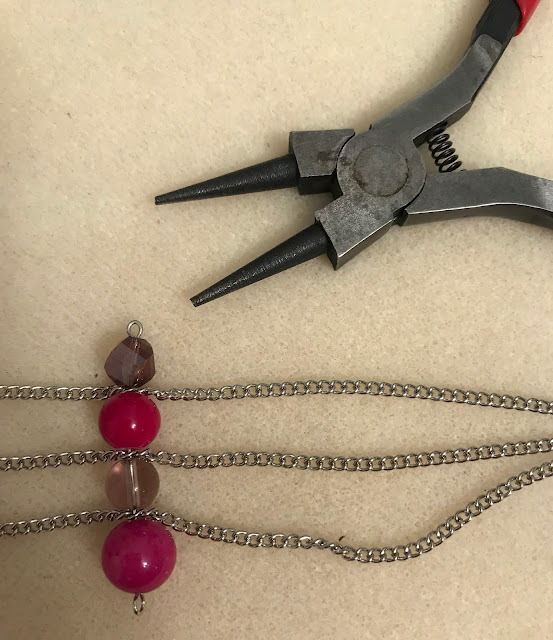 Needle nose pliers, wire cutters, round nose pliers, small cable chain, eye pins, large and medium size fuchsia stone beads, large and medium size purple glass & crystal beads, a tassel maker, embroidery thread, thin wire, jump rings, and a lobster claw clasp. 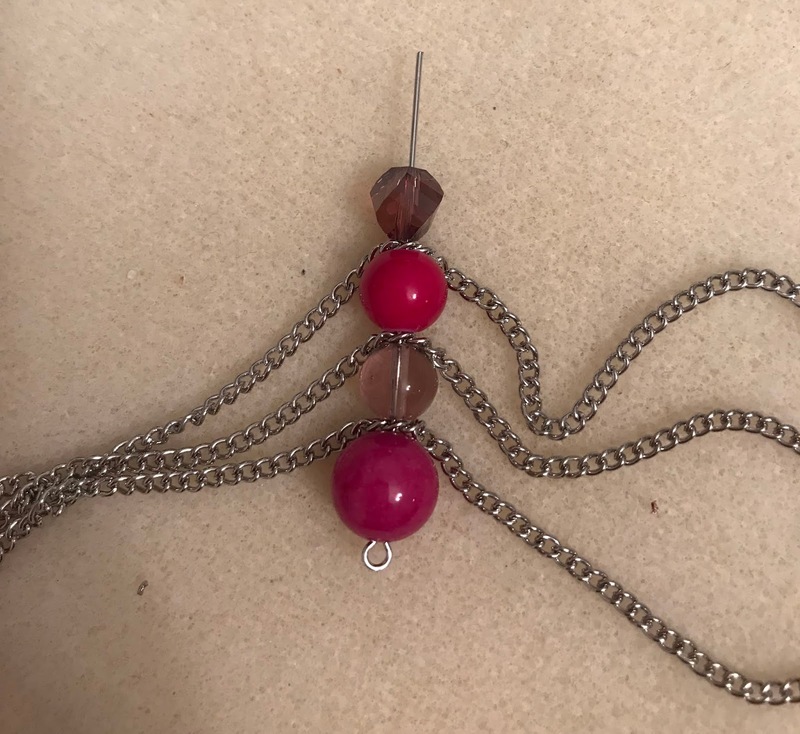 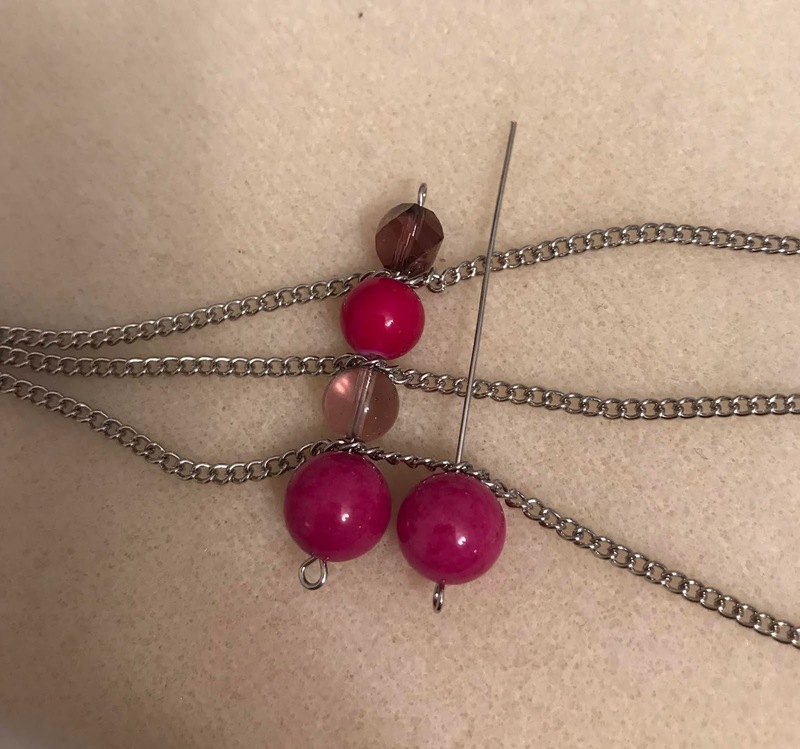 Using a long eye pin, thread on a large fuchsia bead and then thread the eye pin through the center of one of the pieces of chain. 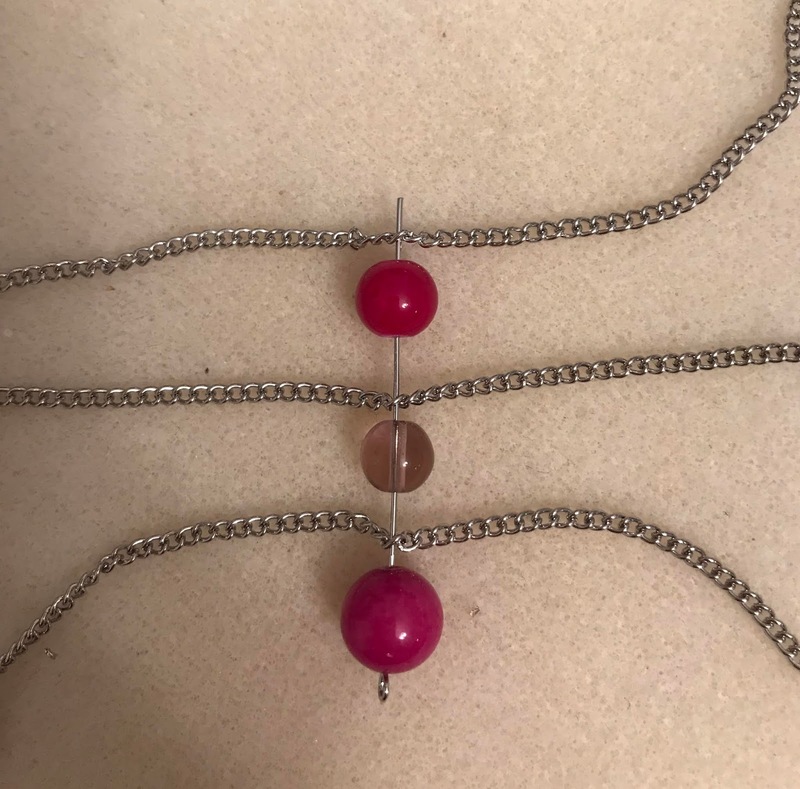 Add on a round purple bead and then thread it through the middle of the second length of chain. 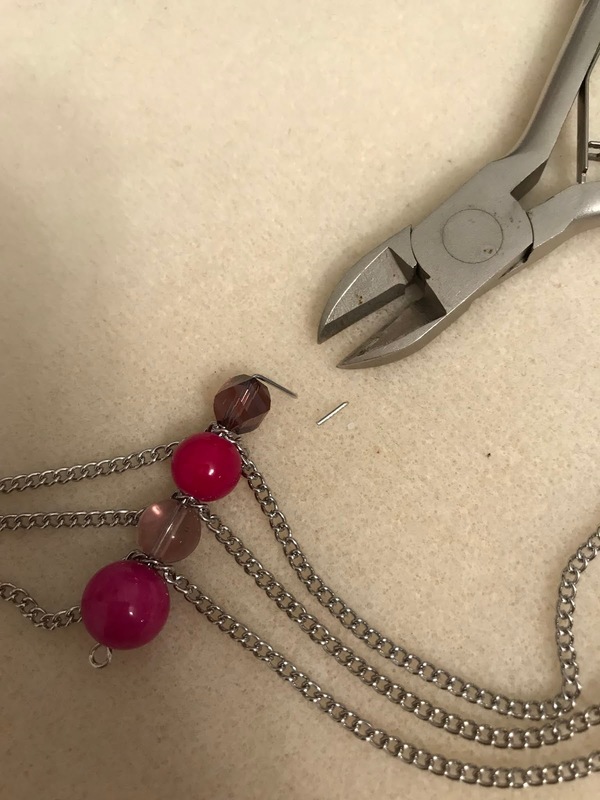 Finally, add on a smaller fuchsia stone bead and then thread it through the middle of last piece of chain. 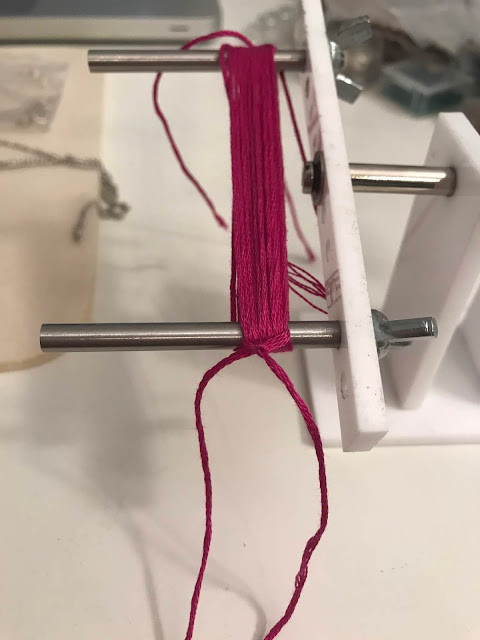 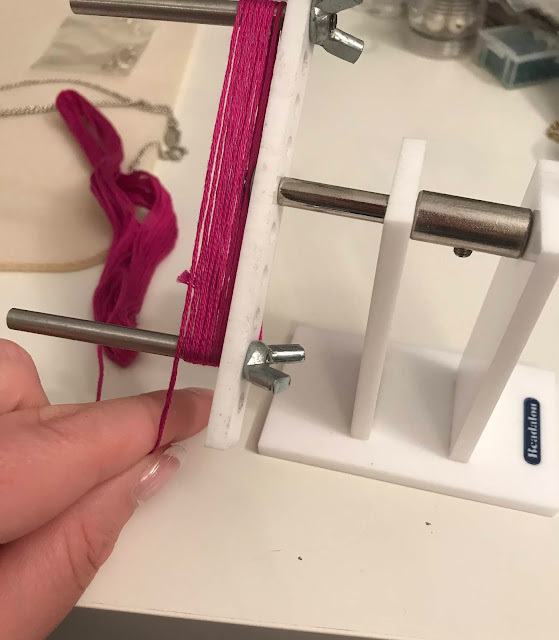 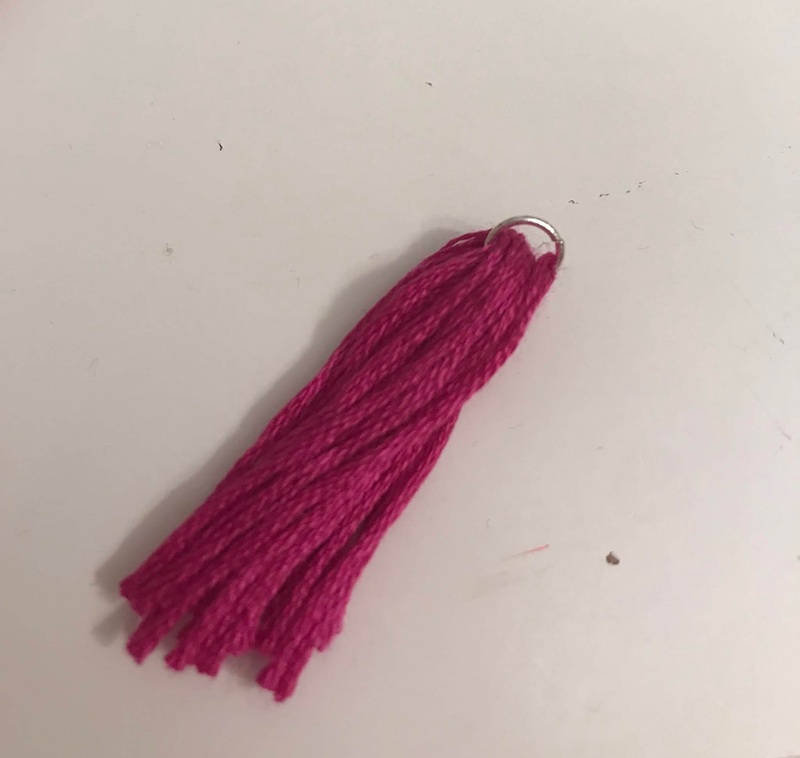 Secure the embroidery thread on the tassel maker, wrap the thread around the prongs until you reach your desired thickness (count how many rotations you do so you can repeat) and then tie a knot around each end of the strings on either side using an extra piece of embroidery thread. Cut a short length of wire using wire cutters and then wrap multiple times around the top of the tassel, directly below the jump ring. 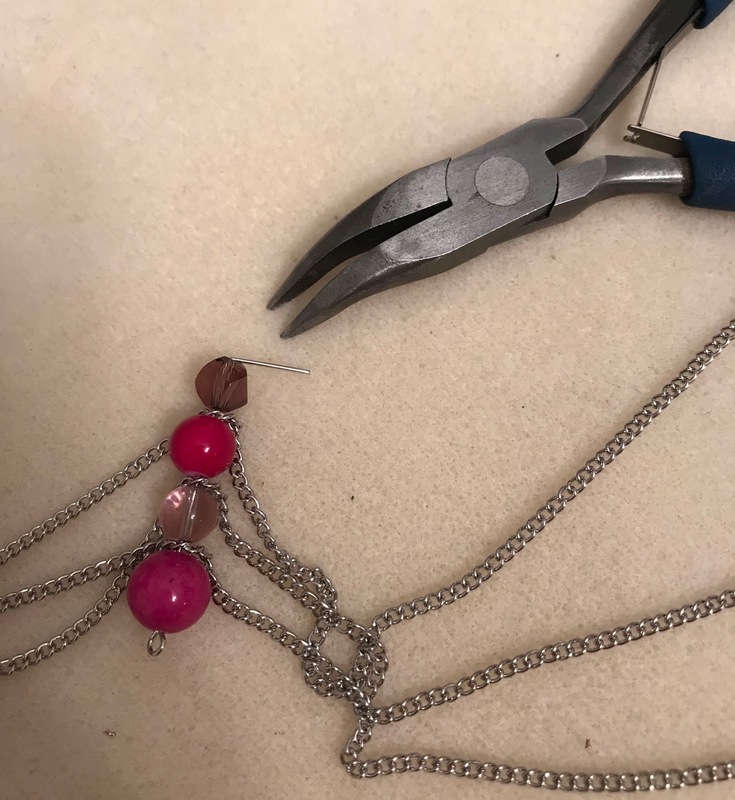 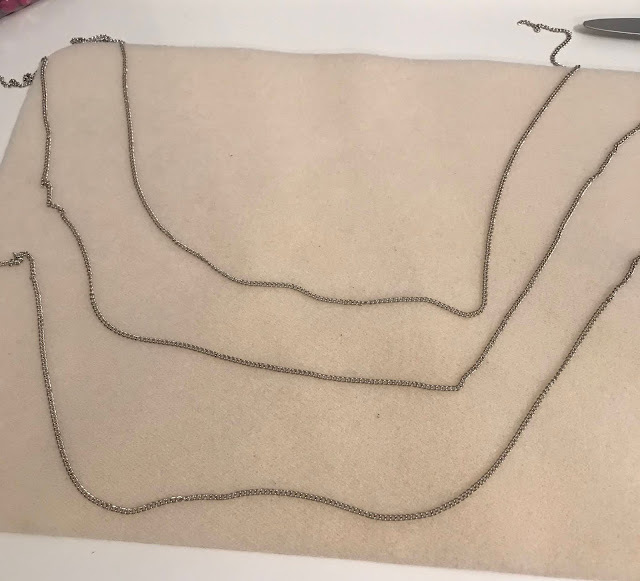 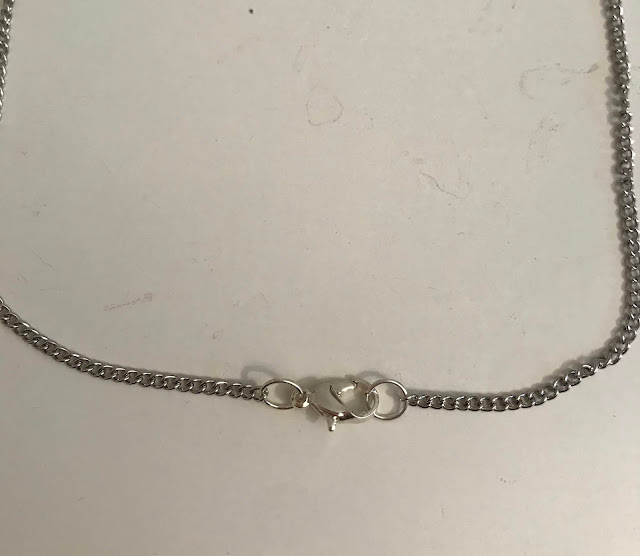 After the chain is attached, your necklace is all done! 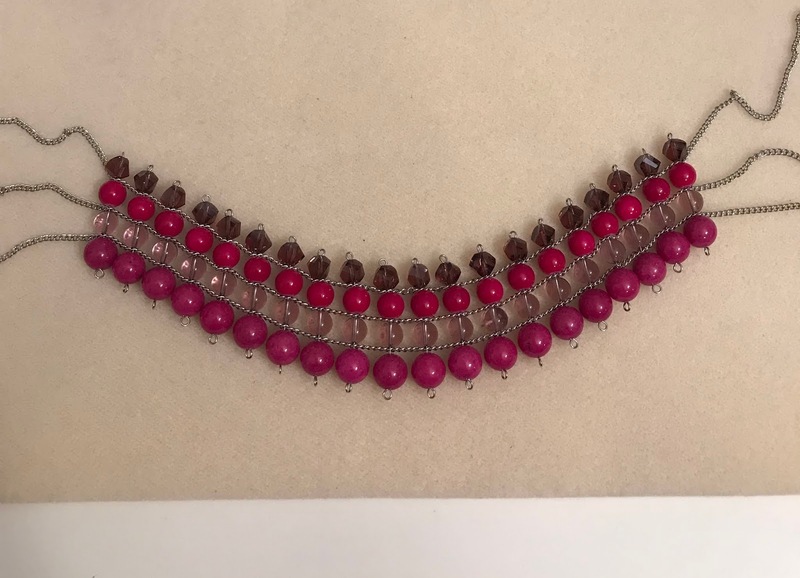 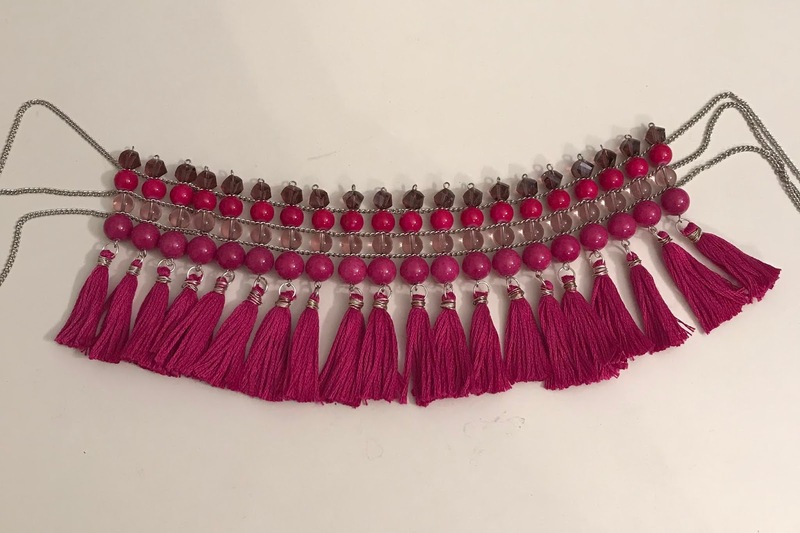 I wore this necklace with just a plain maroon colored dress: with all the pizzazz this necklace packs, you really don't need a crazy outfit to pair it with, the necklace will dress up any ensemble! This necklace will be a bit of a time investment unless you are a super fast tassel maker. 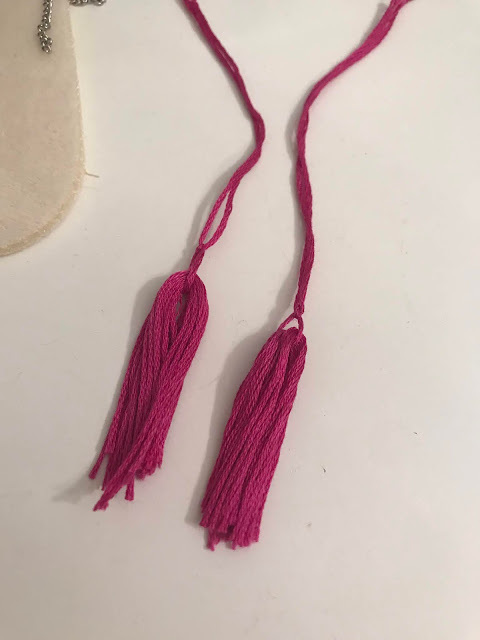 This was only my second project I made using tassels so I was pretty slow: I got to catch up on lots of episodes of This is Us on my beading desk while I finished it up. 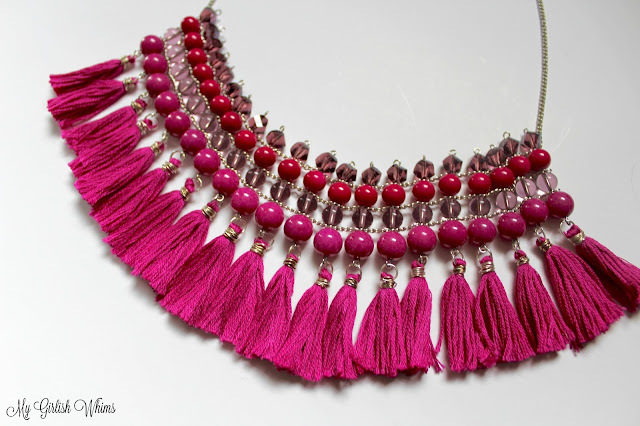 I think it was well worth the time investment though, because it truly is a one-of-a-kind necklace! 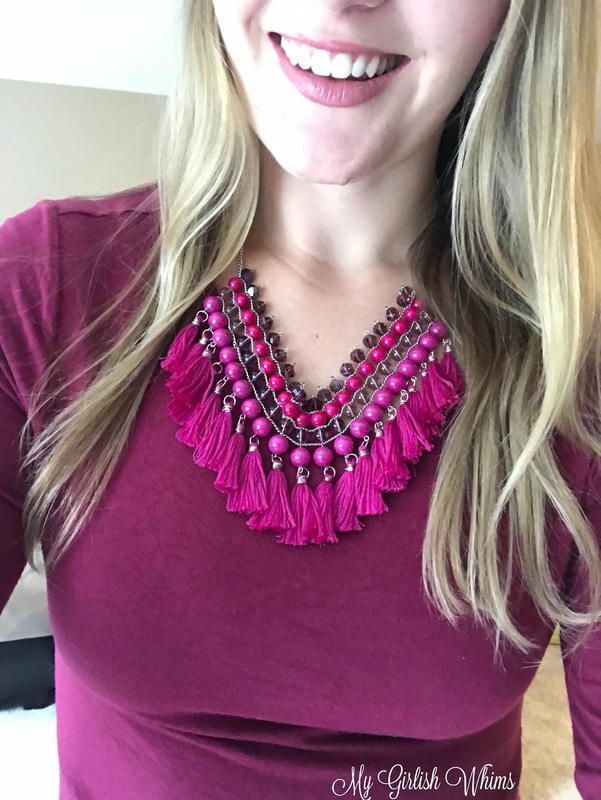 There may be similar styles in stores, but I love how unique mine is with the colors I choose. 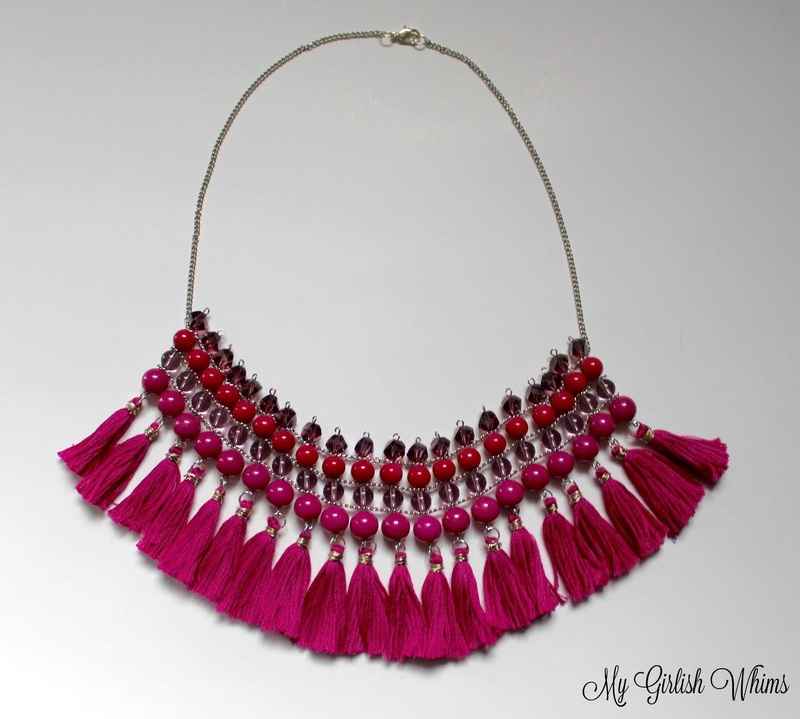 Are you on board with the tassel trend yet??? 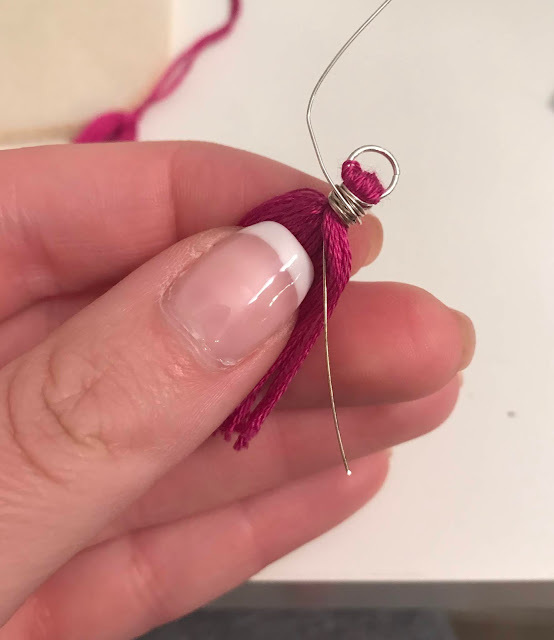 Let me know if this is something you would ever try making yourself!